Easy as 1-2-3! 1.Enter your PIN… 2.Plug & Play… 3.Unplug to auto-lock. USB flash drives are designed to carry data. Sometimes that data needs to be a little more secure than the average USB can handle. The USBDS USB 2.0 Datashur® Encrypted USB Flash Drive DS is one of the first USB drives I have seen on the promo market with PIN code access. 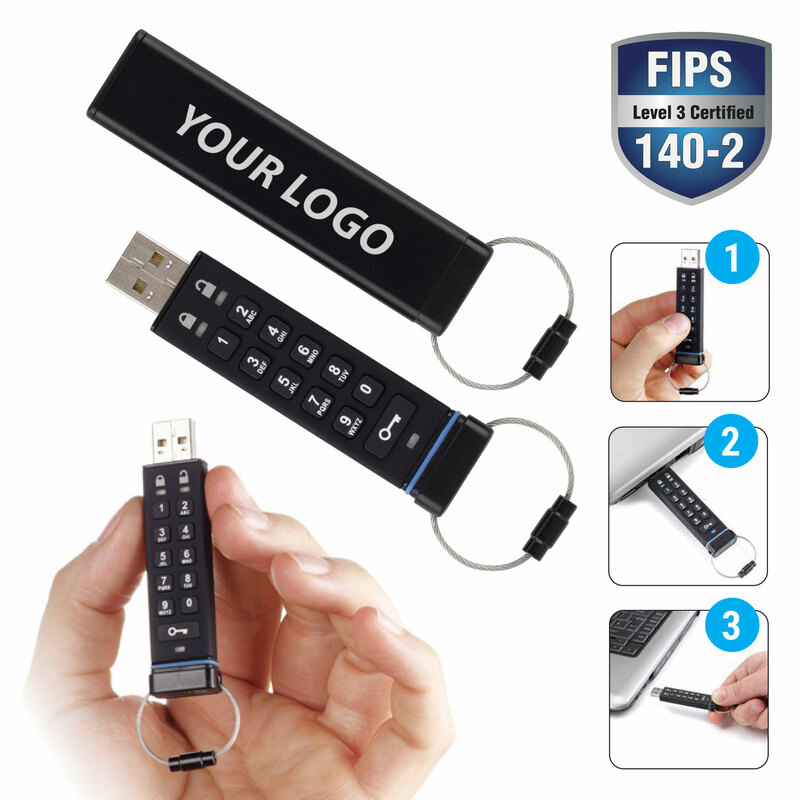 They also point out that the USBDS USB 2.0 Datashur® Encrypted USB Flash Drive DS is FIPS 140-2 – Level 3 Certified and HIPAA compliant. Both of which help to explain the manufacturer’s tagline of Protect your data. Protect your brand. Memory is offered at 4GB, 8GB, 16GB, and 32GB. The imprint area for the USBDS USB 2.0 Datashur® Encrypted USB Flash Drive DS is pretty standard at 2-1/2”w x 1/2”h. They only run in black, decoration can be an imprint in white, metallic silver, metallic gold, or laser engrave. Of course, it is the security features, not fancy imprinting, that will make the USBDS USB 2.0 Datashur® Encrypted USB Flash Drive DS stand out in the industry. Please contact us at info@proformagreen.com if you would like more information on the USBDS USB 2.0 Datashur® Encrypted USB Flash Drive DS. This entry was posted in USB Flash Drive. Bookmark the permalink.